Terry Michaelson, the CEO behind the growing Craft Brew Alliance. 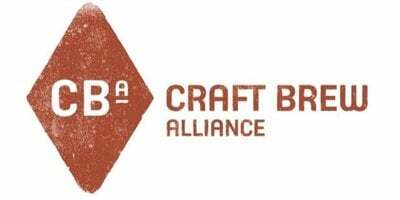 Craft Brew Alliance is a progressive brewing partnership, and apparently it’s also a very profitable one. Of course, some do argue whether the roll-up produces true craft beer. Pioneering indie labels Red Hook, Widmer Brothers and Kona Brewing merged in 2008, becoming a publicly-held company. To the ballyhoo of such brands, the Brewers Association (BA), the trade organization for the craft industry, has strict definitions for what’s considered craft: The BA says less than 25 percent of the craft brewery can be owned or controlled by an alcoholic beverage industry member who is not themselves a craft brewer. We see both sides of the argument with a company like CBA. We also see there’s quite a successful side to the argument, regardless of what your definition of craft beer is. According to preliminary results, CBA grew 13 percent in 2012. This pleases CEO Terry Michaelson. Craft or not, the CBA is here to stay. Let’s don our celluloid green accountant visor: Last November, the CBA announced reported net sales of $127.4 million and net income of $2.2 million for the nine months ending Sept. 30, 2012, as compared with net sales of $114.3 million and net income of $9.4 million a year prior. That also includes an after-tax gain of $6.5 million from the sale of the minority interest in Fulton Street Brewery LLC. Last week, the CBA released preliminary full-year results for 2012, which include a 13 percent increase in sales and depletions growth of 6 percent. Shipment growth of nearly 8 percent was the result of new initiatives, including the launch of the gluten-free beer brand, Omission, and exports to international markets. The year’s positive results were bolstered by a strong fourth quarter, which showed a 10 percent growth in depletions. CBA also projected a strong 2013, with expansion into new domestic markets for Kona, new international markets for all brands and packaging updates across the portfolio. Depletions growth for 2013 is projected at 7 to 11 percent, with average price increases of around 1 to 2 percent. While each brand executes independent strategies, the shared capabilities, knowledge and passion of the Alliance are exponentially greater together, says the CBA. The CBA is an independent, publicly traded craft brewing company that was formed with the merger of leading Pacific Northwest craft brewers – Widmer Brothers Brewing and Redhook Ale Brewery — in 2008. With an eye toward preserving and growing one-of-a-kind craft beers and brands, CBA was joined by Kona Brewing Co. in 2010. Craft Brew Alliance launched Omission beer in 2012. According to the CBA, these brands together (publicly held) are able to satisfy more consumers, at more times, in more locations, through more authentic, distinct craft beers and brands than any other brewery in the United States. And in 2011, they were the ninth biggest brewery in America, according to the BA’s latest report.